The county commission has expanded the airport commission from seven to nine members. Determined to populate the Martha’s Vineyard Airport Commission with fresh faces, the Dukes County Commission voted on Wednesday to expand the airport commission from seven to nine members. Less than 24 hours later, the airport commission was in superior court seeking to block the move. Members of the county commission said they wanted to take advantage of an unusually large pool of applicants for a single vacancy that was filled last week. To that end, the commission appointed Myron Garfinkle of West Tisbury to a new three-year term and Robert Rosenbaum of Chilmark to a two-year term. Airport commissioners serve staggered terms. Mr. Garfinkle was assigned the longer term since he received the most votes. But on Thursday, the airport commission filed an emergency motion asking a superior court judge to prevent the county commissioners from expanding its ranks. The airport commission argues that the reorganization is unlawful and an attempt by the county commission to interfere in airport commission affairs. As of Friday afternoon, no action had been taken on the motion. The motion seeks to amend an existing complaint filed in May by the airport commission that seeks to expand the airport commission's autonomy from the county commission. The two commissions have fought on and off for years about who ultimately controls the airport, which is financially independent but owned by the county. The case was brought after the county commission sought to name the county manager to the airport commission as an ex-officio member. The airport commission won a first round in that battle in August when a superior court judge granted a preliminary injunction allowing the county manager's exclusion. Last week, the county commission appointed Beth Toomey, the former West Tisbury police chief, to replace Peter Bettencourt, who had resigned in August. “We had some great candidates, but only one appointment,” Leonard Jason Jr., chairman of the county commission, said on Wednesday. Eight candidates had applied to fill the vacancy. Tension between the two commissions have been exacerbated by personnel disputes at the airport, including a lawsuit filed by an employee who believed she was wrongfully suspended after voicing concerns about airport manager Sean Flynn. 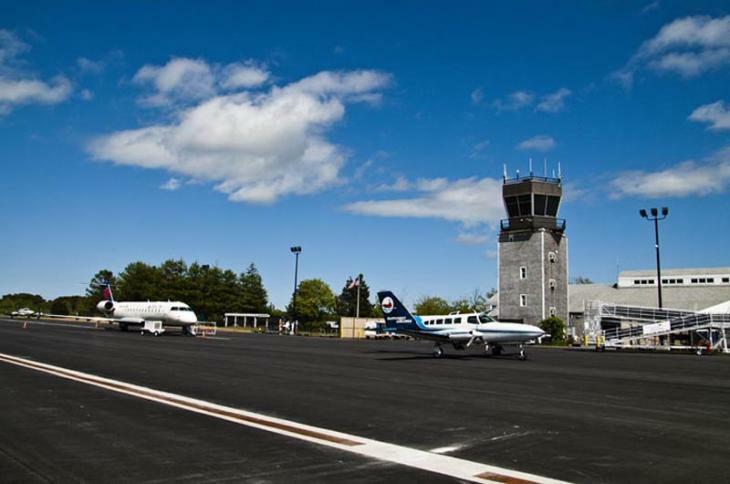 On Wednesday, county manager Martina Thornton said she had reviewed administrative orders and Massachusetts General Laws and found that publicly owned airports may have commissions of up to 11 members. Airport commissions in New Bedford and Norwood each have nine members, she said. Five of the six commissioners present at Wednesday’s meeting supported the expansion. John Alley, former chairman of the airport commission, abstained. Thomas Hallahan, participating by speaker phone, advised caution in making the change. “If it’s something we do, I don’t want to turn around and change it down the road,” he said. “So, I think we just need to be transparent in why we are doing it.” He questioned whether it was the right approach, since the airport commission could respond by making changes of its own. “Then we end up in a worse situation than we’re already in because we are not communicating,” Mr. Hallahan said. “I’m sure they will probably sue us again,” said Mr. Jason, referring to lawsuits filed against the county this year. Commissioner Tristan Israel said adding new people and new ideas would be a step in the right direction. “I’d just like to see a change in the way process is unfolded there — not necessarily the value judgments, but the process,” Mr. Israel said. Christine Todd, who serves on both commissions, said she has encountered frustration in her short time on the airport board. “Just simple things, like trying to get answers to procedural matters and trying to gain more transparency on the commission,” she said. There was less agreement when it came to the timing of the new appointments. Mr. Alley questioned whether more people should be given time to apply. Mr. Hallahan agreed that since the board was “creating new opportunities” it should allow other potential candidates to apply. He suggested deferring a vote to Oct. 8. But other commissioners saw the expansion as primarily a reflection of the qualities of the most recent applicants. “That was why I brought it up last week,” said Mr. Israel. “I think that anyone who has a real interest in serving on the airport commission has already stepped forward,” said Ms. Todd. She said the same people would have applied whether the board had seven or nine members. David Holway, also participating by phone, pointed out that there would be three more vacancies on the commission in February and said the county should act sooner than later. Motions to expand the commission and to appoint the new members were made by Mr. Holway. In asking the court to block expansion of the commission's size, the airport commission said the vote to expand the size of the commission was done without obtaining required approval by the state Department of Transportation, and constitutes an “action to reorganize” the airport commission in violation of grant assurances. Mr. Garfinkle and Mr. Rosenbaum both have extensive business management experience and both are recreational pilots who are familiar with the airport. Both have also emphasized the airport’s economic potential. Mr. Rosenbaum was out of the country for last week’s meeting, but in a letter, he criticized the airport’s treatment of both employees and visitors. He said his priorities as a commissioner would be replacing current management and reviewing airport finances. Meanwhile, the county commission is looking to improve its own ability to govern. Ms. Thornton agreed on Wednesday to begin re-compiling the county’s administrative code, which she said is poorly organized and missing some sections. Commissioner Leon Brathwaite agreed to help. The commission also discussed the formation of a municipal advisory council, which would include residents from different towns and help the commission better serve the community. The commission went into executive session after about 50 minutes to address a complaint filed by Mr. Alley over an alleged open meeting law violation on August 27. An airport commission meeting scheduled for Friday morning was cancelled, according to a notice posted on the commission website. I believe with the new commissioners and the last two voted in change will come. The time of the airport thinking they answer to no one and can treat people like poop will end, whether that means replacing upper management or not. My second point is how much tax payer money will Mr. Alleys complaint cost the taxpayer? He couldn't discuss any issues he had with his follow commissioners? Not exactly a team player. Much like the SSA......When will folks realize County Government is a HUGE waste of $$$ and should have been dismantled and close when the others were. As it was not, we the taxpayers have to watch this happen over and over and over, a bunch of infantile 3rd graders calling lawyers and running to court every other minute wasting taxpayer money as a result. They are not even smart enough to not bite the hand that feeds them! Bickering, arguing, court, injunctions, not smart enough to straighten it out on the playground. What an expensive and sad JOKE. ELIMINATE COUNTY GOVERNMENT YESTERDAY!!!!! Whatever it takes to do this, let me know where to sign and I will be the first voter in that line.